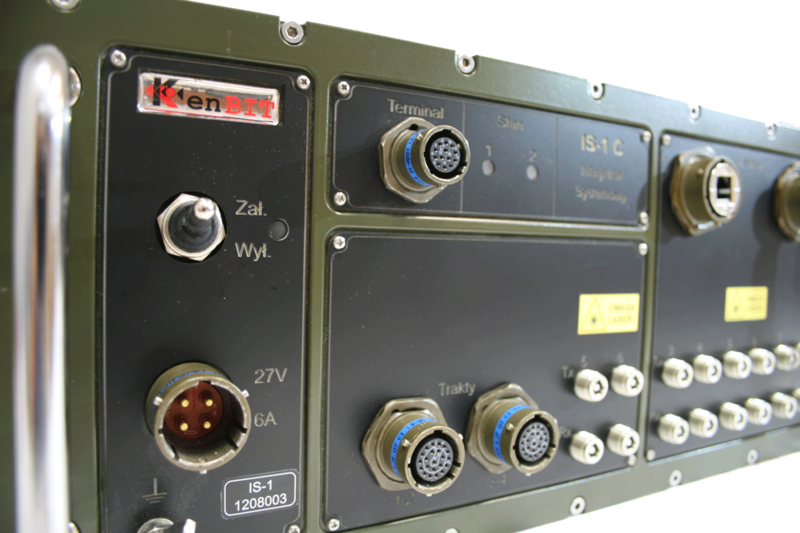 System Integrator IS-1 is an essential element of the field ICT IP platform intended to support the command and actions of troops and deployment of efficient LAN networks mounted in vehicles, and unwind in the field framework of BMS (Battlefield Management System). IS-1 is a WAN Access Box class IP gateway. The device provides integration between systems of audio connections: VoIP telephony, analog phones, tracts among exchanges, radios, and also enables the automatic exchange of IP data through wired links (Ethernet, VDSL) and wireless through VHF and HF radios. 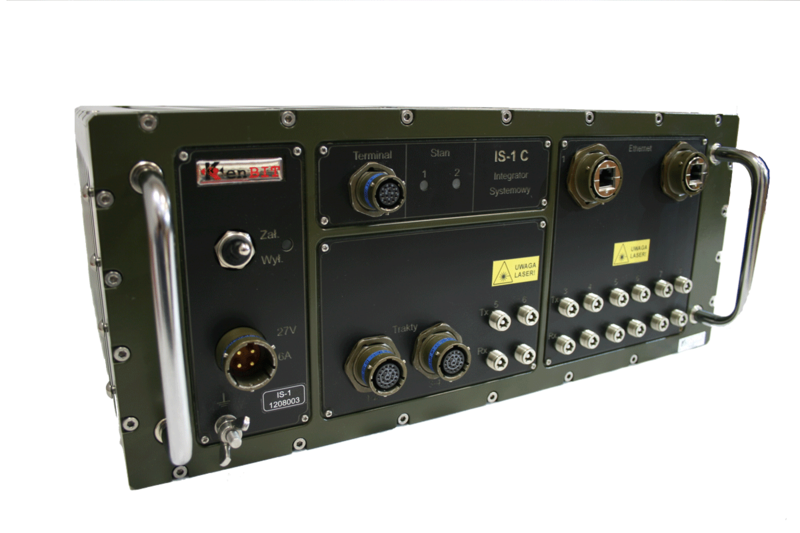 IS-1 enables communication between the various wire and radio communication systems. The functional parameters, the small size and low weight allow for stationary and mobile use. 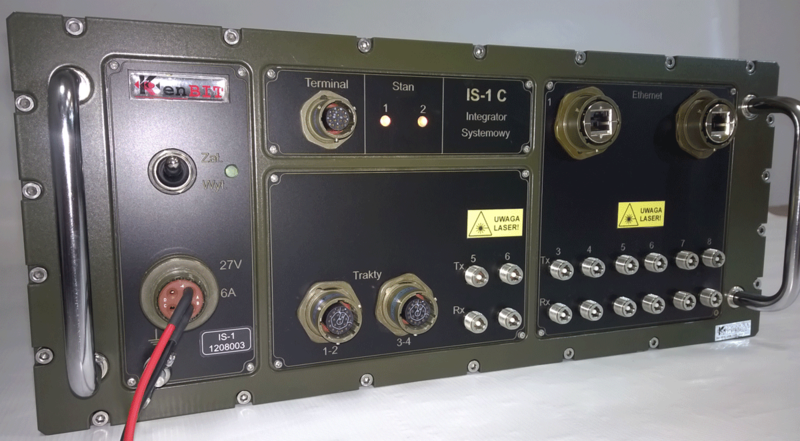 The System Integrator IS-1 acts as an ICT integrator in command & control vehicles, combat vehicles (in armoured personal carriers, tanks, etc.) and other platforms. 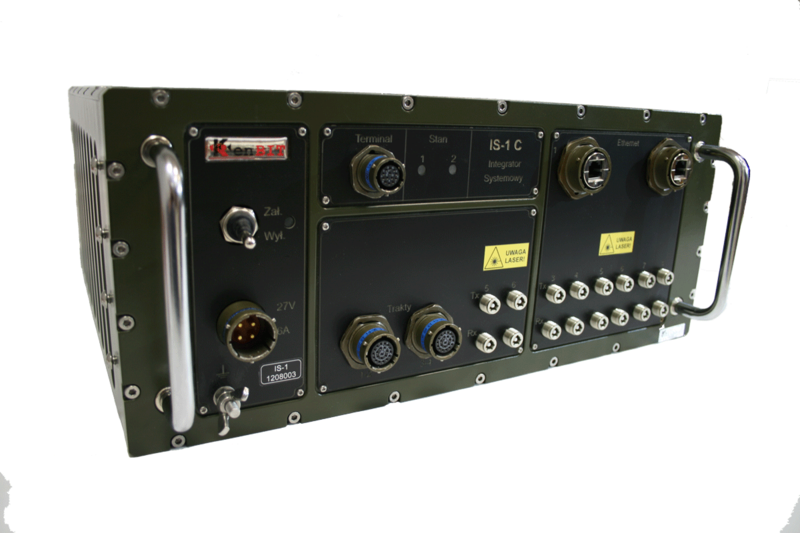 IS-1 provides integration of HF and VHF radios, as well as of field and fixed telecommunication networks, and also with the vehicle sensors set. Integrator gives the functionality of on-board intercom. The equipment may contain add-on elements, for example: module WLAN, VoIP terminals and network workstations, including tactical terminals. The Integrator IS-1 is intended for use in the field. According to the N0-06-A101 and N0-06-A103 classification the equipment is included into N.14-UZ-II-A group. Permissible levels of side electromagnetic emissions and resistance to electromagnetic exposure fulfill the requirements contained in N0-06-A200 defense standard.